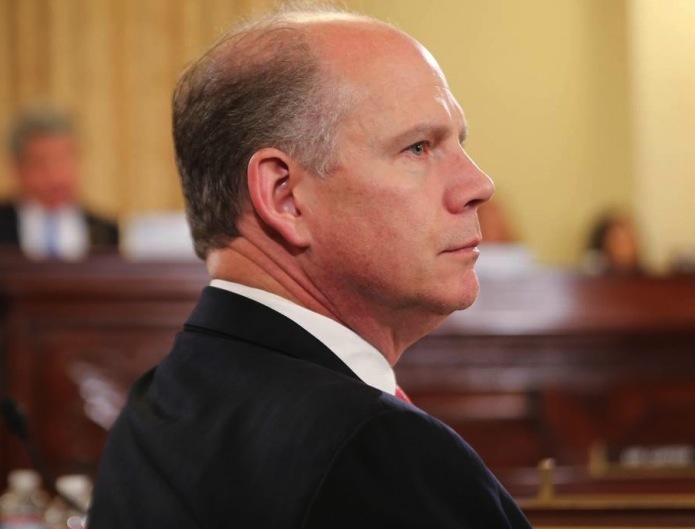 Rep. Donovan is running for a third term in a seat representing all of Staten Island and a sliver of Brooklyn. The attempted mail bombings this week of a former president, secretary of state, attorney general and CIA director–all prominent targets of the right wing–were seen as a moment to take stock of the degradation of political discourse of the country. That sort of self-examination often suffers from amnesia: From the caning of Charles Sumner to the bombing of Wall Street in 1920 to the murder of Martin Luther King, Jr., and beyond, the U.S. has a long history of political violence. What is different now is that the president of the United States has hailed those who assault reporters and hewed to false equivalency when confronted with deadly right-wing violence. Donovan never mentioned the president. But Mr. Trump did come up elsewhere in our conversation about Donovan’s run for re-election against Democrat Max Rose, and in our talk with City Limits reporter Abigail Savitch-Lew, who did extensive on-the-ground reporting in the district. Listen below. And come to our two-hour, live-audience, Election Day special! Donovan being a decent man, condemned the recent mail bombs. But I’m still waiting for a democrat, any democrat, to condemn Antifa and the verbal and physical assaults on republicans. Dan Donovan was our superb DA for 12 years and is a homeowner who was born and raised on SI. Max Rose is a Park Slope liberal funded by dirty money from mostly out of district leftists. He only moved into an apartment in NY-11 to run in this race. I’m impressed by your googling skills. Max Rose is still an interloper from a liberal district.